The concert, featuring Pt. 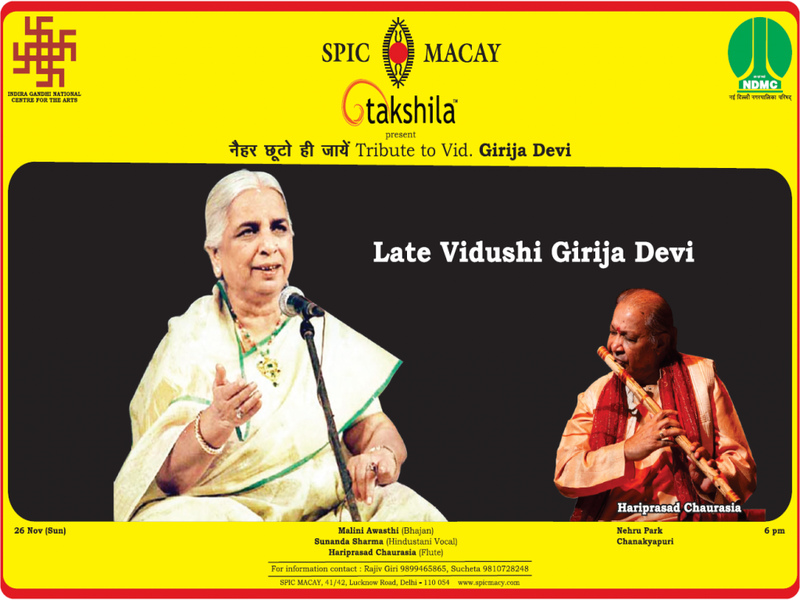 Hariprasad Chaurasia, Smt. Sunanda Sharma and Smt. Malini Awasthi, is an expression of reverence and gratitude to the Queen of Thumris for her contribution to the journey of classical music.